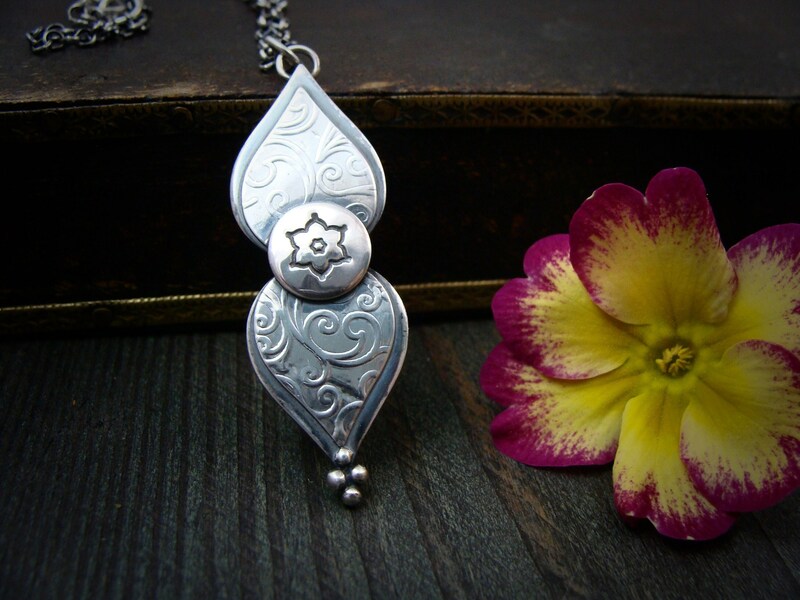 This sterling silver pendant was inspired by elements of henna designs. Two petals have been merged in the center with a delicate flower. 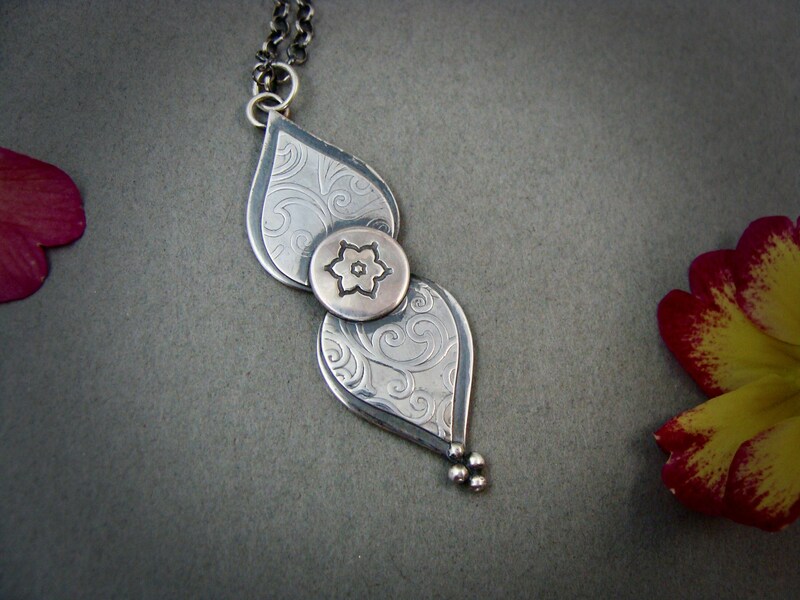 The petals have an overlay cutout that has been roller printed with a vine motif. The silver has been given a dark patina, then lightly brushed to reveal the bright silver highlights and give a pretty vintage look. 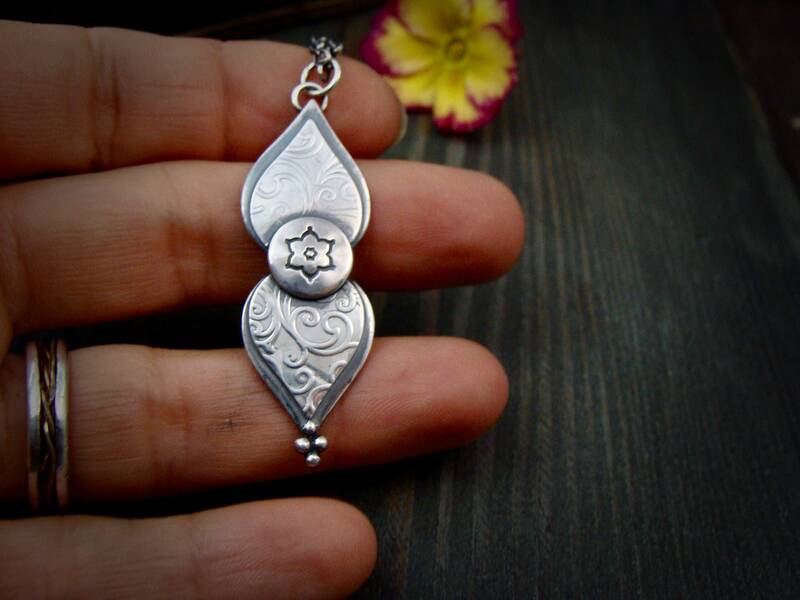 The back of the pendant has been stamped with my maker's mark. 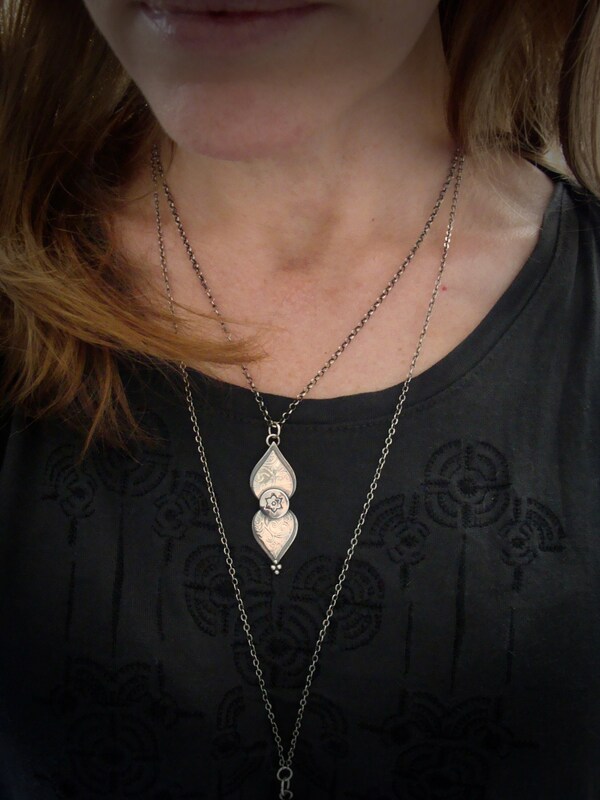 Great for layering, modeled on an 18" chain. 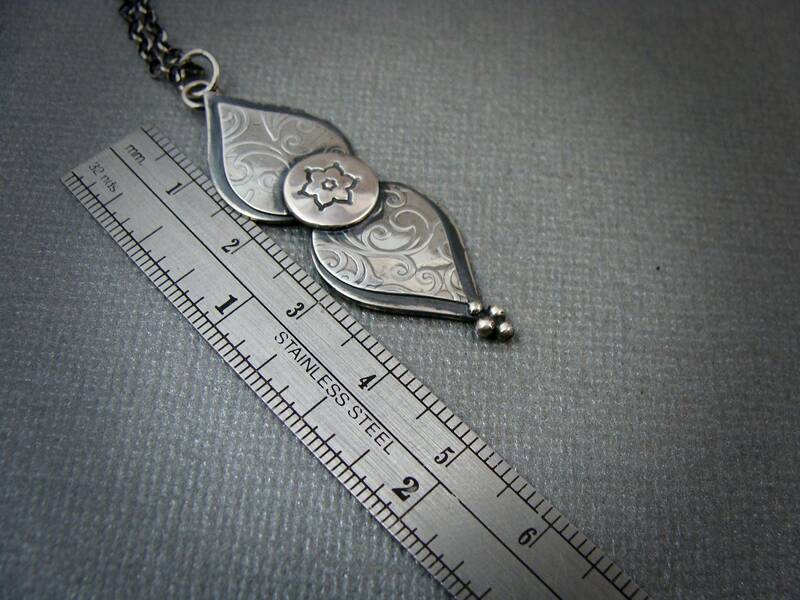 ☞ Pendant is 2" in length. 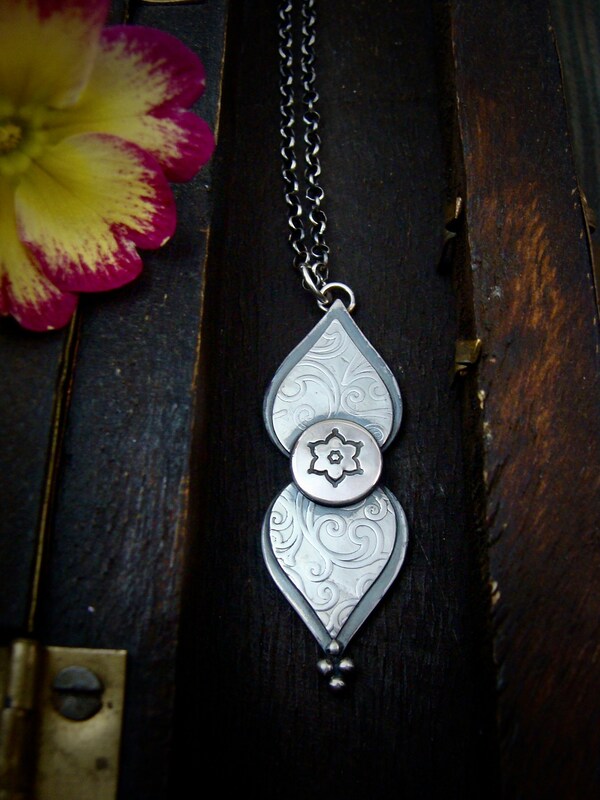 Each pendant 100% made by my two hands.